After graduating from Springfield College with BS in physical education and a Minor in athletic training. Wendy worked as an athletic trainer at WNEC and then in the health club industry managing Bali Health Clubs. As a personal trainer, her focus became working with injured clients.Wendy continues to work in the health club industry today teaching Senior Aquatics and Ashtanga Yoga. After suffering a brain injury from a car accident, Wendy sought out healing through the combination of CranioSacral Therapy, Visceral Manipulation and Neural Manipulation. Her nervous system was healed and Wendy became re-inspired in her practice. This healing experience led her to move her studies to include advanced trauma, Bruno Chikly’s brain curriculum, advanced craniosacral therapy and nerve manipulation. Her education in athletic training, kinesiology , and yoga allow her to understand body mechanics. 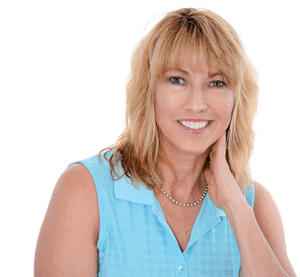 Combined with evaluation skills and manual therapies, her treatments re-educate the nervous system and change the body’s compensation pattern following injury. Her gentle, specific approach allows the body to self-correct. To view Wendy’s current course work go to IAHP. Wendy Marchese © 2019. All Rights Reserved.